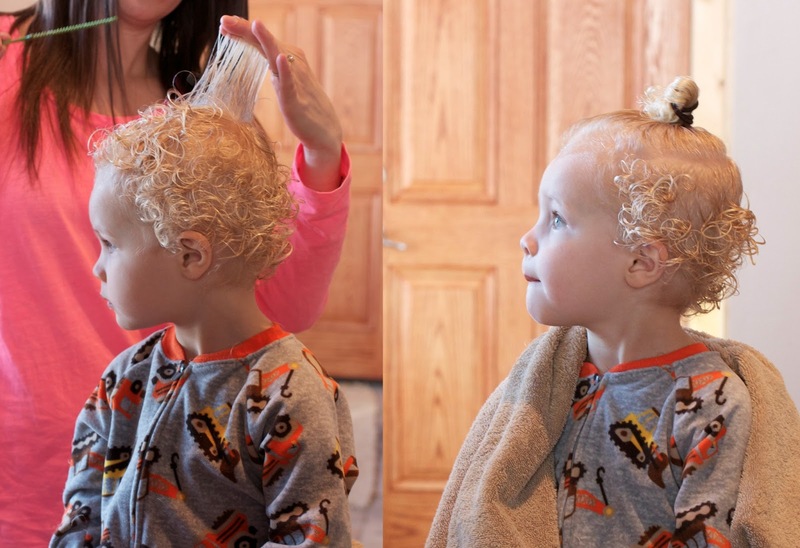 However, the time had come for my Baby Gray to receive his first haircut. We held out until he was almost 2 1/2 years old, if you can believe it. Things were really getting out of control (think: Greatest American Hero, the TV show), and being mistaken for a girl was starting to happen more frequently :) So we caved...and his sweet auntie bravely took a set of shears to his head in effort to give his locks a little more shape. Here are a few quick snapshots from the experience...can someone please stop time?! When I first read this title in my google reader I thought "NO STEPH!!!" haha. But, oh goodness, he is still just adorable! Those curls stayed and he looks cute as ever. He has blessed hair I tell you. He is absolutely adorable! What a precious little boy! And his haircut looks great! Our little James is a year younger than Gray, and we still haven't cut his hair. He isn't blessed with curls (yet! ), but I just can't bear to cut his wispy little locks! Oh Steph, he's such a sweetheart!!!! Did you keep a little lock of it? I am also very happy to say that I am caught up in the life of Stephmodo. I just swoon over your posts and pics. I hope you had a lovely weekend!!! 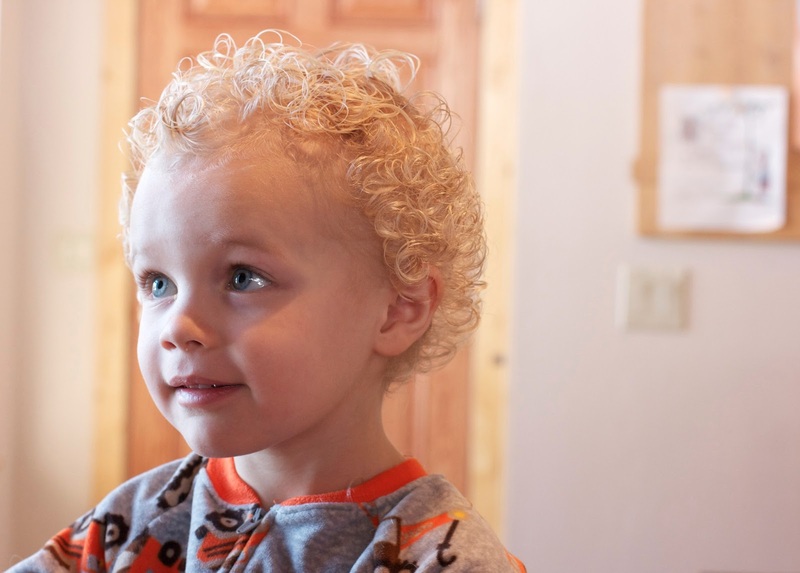 My second son's hair would curl up when he was this age when he got hot and sweaty--I agonized over cutting those curls off. It doesn't curl now but that's probably because I keep it short.